Tim Bernacki, PT, Cert MDT, has been a licensed physical therapist since 2000. His education includes a Bachelor of Science degree in Kinesiological Sciences with a concentration in Biodynamics from the University of Nevada, Las Vegas. He was awarded his Master of Physical Therapy degree in May of 2000 from Shenandoah University in Virginia. Since entering the physical therapy profession, Tim has specialized in orthopaedics, sports medicine, injury prevention, custom foot orthotic fabrication, running analysis, and sports performance enhancement program development. He has worked with a broad assortment of patients and with athletes of all ages from amateur to the professional level. He has attended 20+ continuing education courses covering a comprehensive array of topics in order to enhance his ability to evaluate, treat, and empower his patients to have management over their health issues. He is a certified Clinical Instructor for graduate level physical therapy students. He is also a member of the McKenzie Institute and is a credentialed Mechanical Diagnosis and Therapy (MDT) provider- one of only sixteen in all of Colorado. MDT is a philosophy of active patient involvement and education that is trusted and used by practitioners all over the world for back, neck, and extremity problems. Tim also underwent a one year fellowship in Sports Injury Rehab and Performance Enhancement under the direction of Robert Donatelli, PT, PhD. Dr. Donatelli is Andy Roddick’s physical therapist, has been a consultant to the Montreal Expos, Milwaukee Brewers, and Philadelphia Phillies, and also worked with numerous other individuals at the professional sports level. Tim was honored to be a lab instructor for several continuing education courses and also was a mentor for other physical therapists seeking to learn more about sports rehab and performance enhancement programs of their own. Tim worked at several PGA Tour events and worked the training room at the LPGA Takefuji Classic as well. He was a gross anatomy lab assistant for the UNLV Physical Therapy doctorate program, and has given numerous presentations and speeches over the years. 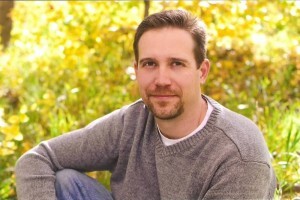 Tim is now the owner and primary physical therapist at Front Range Therapies Castle Rock. Front Range Therapies Castle Rock is the original, longest standing privately-owned physical therapy clinic in Douglas County. Tim and his team will evaluate and treat a vast spectrum of neuromuscular and musculoskeletal conditions using the latest research and evidence. His office accepts most insurances including Medicare and Tricare. We are available for new patient appointments, and every patient is seen by the same physical therapist each visit. We believe in a strong one-on-one treatment philosophy and have an extraordinary track record of results and outcomes. Alexandra “Ali” Misko completed her bachelor’s degree in Kinesiology from the University of Kentucky in 1996, and graduated from Widener University with a master’s degree in Physical Therapy in 2000. She has been a licensed physical therapist in Colorado since 2000, specializing in orthopaedics and manual therapy. She completed Pilates certification for the rehabilitation professional in 2001 from Polestar, where she taught one-on-one and group classes. Ali also developed, implemented, and instructed aquatic therapy classes in conjunction with land-based therapy to aide in patients’ treatment and recovery. She has taken more than 25 continuing education classes in her career and is dedicated to furthering her training to better serve her clientele. 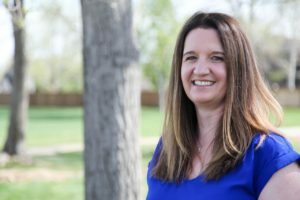 Ali has served her profession by being a credentialed Clinical Instructor (CI) to physical therapy students for several years and by serving for 2 years on the professional development committee of the Colorado Chapter of the American Physical Therapy Association (APTA). Currently, she is enrolled in a post-graduate manual therapy program through the Manual Therapy Institute. This program consists of 3 years of didactic and hands on learning for the advancement of her professional skills. Ali is scheduled to complete her MTI certification in October of 2018.